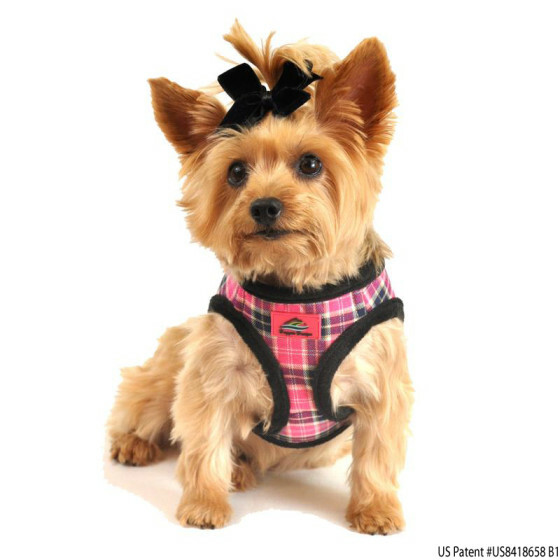 Our American River Pink Plaid and Fur Ultra Choke Free Harnesses is on sale for 40% off for a limited time! Our pink plaid dog harness is an adorable way to show off your pet as you walk him or her around the neighborhood! 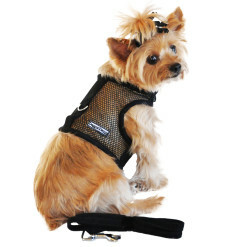 This designer harness is lined and trimmed with with our plush black mink fur, which not is a lightweight and comfortable fit for your pet, but provides a stylish look. 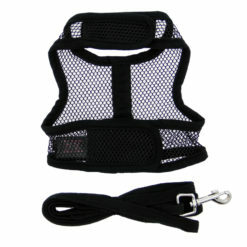 The harness also comes with our designer “Doggie Design” label sewn prominently on the front. This product, like all American River harnesses, is equipped with our patented v-cut choke free design and pulls exclusively from your dog’s chest. 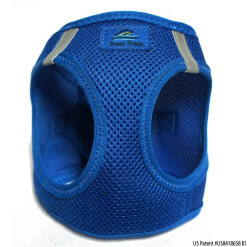 This is a break from traditional dog harnesses which often tighten around your dog’s neck when they attempt to get loose, potentially causing damaged neck muscles or even causing suffocation. Our patented contoured shape fit seam technology causes the harness to adjust to your dog’s chest curve, avoiding potential neck injuries. This product is also equipped with our patented webbing slide adjustment which allows enough room to adjust the size of the harness up to 3 inches. The latter feature is especially convenient to dog owners who groom their pets and often struggle with their furry friends growing out of their harnesses. Our flexible velcro closure gives you 3 inches of wiggle room to work around that problem. 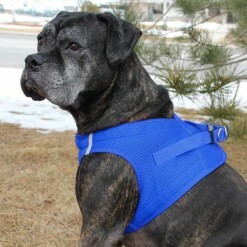 Unlike other harnesses where you have to struggle to uncomfortably place it over your dog’s head, the American River harness allows your dog to simply step into it. You can then velcro it around his or her back. It’s specifically designed to be a no fuss, simple, safe and secure process. 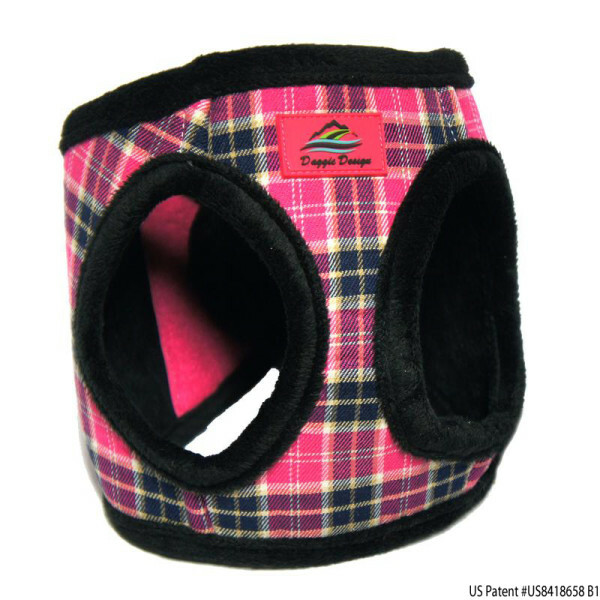 This product is currently available for dog breeds ranging from xsmall to large, in accordance with our size chart below. Please measure your dog and take a look at our size chart below prior to ordering. 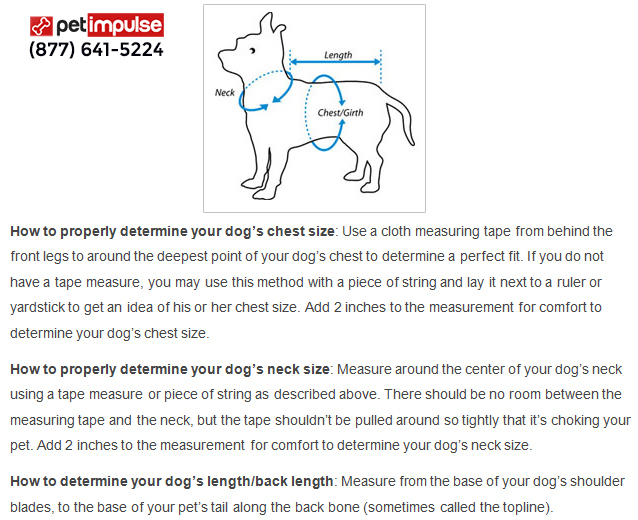 How to properly determine your dog’s chest size: Use a tape measure from behind the front legs to around the deepest point of your dog’s chest to determine a perfect fit. If you do not have a tape measure, you may use this method with a piece of string and lay it next to a ruler or yardstick to get an idea of his or her chest size. Note: If your dog is between sizes, select the next size up. X-Small 11-13 inches 4-6 lbs. Small 13-16 inches 6-11 lbs. Medium 16-19 inches 11-16 lbs. Large 19-21 inches 16-25 lbs.